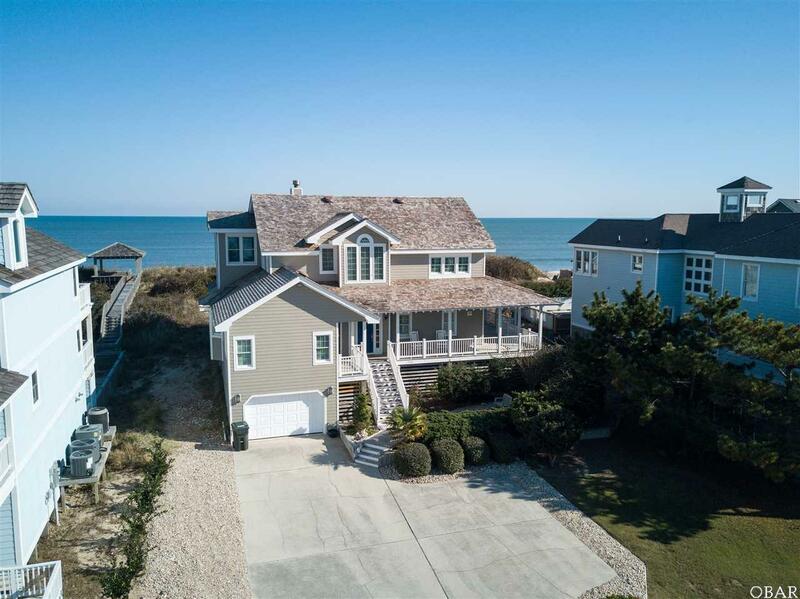 Superior unrivaled TRULY well maintained Oceanfront home on large 75' wide lot located in a premier location in the prestigious Duneridge Community of The Village at Nags Head. The dune structure is excellent and the expansive views of the Atlantic Ocean are stunning. This home was built with extreme quality by Glen Wickre and is solid as a rock. This home has never been rented and has only had two owners. The first owner spared no expense building the home and the current owner spared no expense renovating and bringing it to like-new condition. With over $600,000.00 in improvements and many low maintenance features added, this Oceanfront Retreat is ready for the next new owner to enjoy. Bahama Plantation Shutters installed 2018. Call the listing agent for a list of upgrades or see associated docs. BRING OFFERS! Listing courtesy of Jackson Dixon of Beach Realty & Constr - Duck.